MNC was the favorite of many football pundits for the premier league title in the last season. It is once again one of the top picks for winning the title. But, they will have a big pressure due to expectations. City’s manager Pep Guardiola had a full campaign to work on the team. Inspite of being littered with attacking players, MNC is still neither the best nor the pefect. It’s because there are issues in the defence and goal departments.A huge chunk of money was spent to buy the players in the two transfer windows this year. Enderson had a worse debut season in England than Claudio Bravo. And it was unexpected. It will be better for the team if John Stones and Vincent Kompany contiue to play their best game. Seagulls are a newly promoted team in the race of league title. It’s the second year for Guardiola being in-charge of the club filled with some of the best midfielders and frowards. Let’s see if he manages to make his team win the title. David Silva and Yaya Toure will continue to be a vital part of the campaign. But, Gabriel Jesus and Leroy Sane should take over the mattle and live up to their potential. Jose Izquierdo won’t be able to make it to today’s match due to his international clearance. Chris Hughton may call new recruit Davy Propper who has moved from PSV Eindhoven. Midfiedler Beram Kayal won’t be playing for two months due to broken leg. Provisional squad: Ryan, Maenpaa, Bruno, Dunk, Rosenior, Suttner, Bong, Stephens, Gross, Propper, Knockaert, Sidwell, Skalak, March, Gross, Murphy, Brown, Hemed, Murray. Man City may give chance to debuts bought in summer. Goalkeeper Ederson, midfielder Bernardo Silva and full-backs Kyle Walker and Danilo are likely to play. Benjamin Mendy won’t play due to a thigh problem. Midfielder Ilkay Gundogan is not yet fit after suffering a knee injury. Provisional squad: Ederson, Bravo, Walker, Danilo, Kompany, Stones, Otamendi, Adarabioyo, Toure, Fernandinho, Delph, Nasri, Sane, D Silva, B Silva, Sterling, De Bruyne, Aguero, Jesus. It’s the first big game for Brighton in the last 34 years. The club has bought a number of good players. They have spent a good amount of money. Pascal Gross is one of the players to be watched. Man City, now, has a creative team with new full-backs and a goalkeeper. They would require a good start. Predicted score: City to spoil Brighton’s graduation, 2-1. 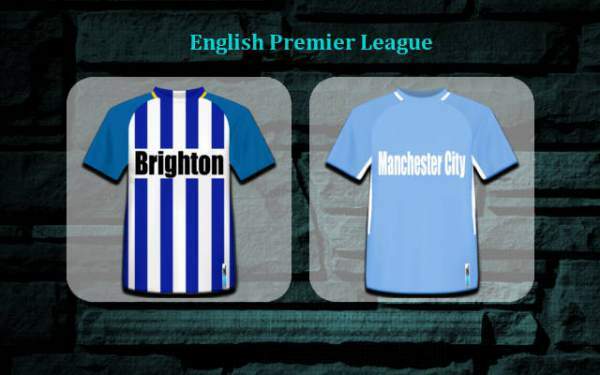 Come back for Manchester City vs Brighton Live Streaming, epl live scores, match result, scorecard, video highlights, and much more. Don’t forget to share your thoughts and prediction with us and other readers. Let’s know in comments. Stay tuned to TheReporterTimes for latest epl news and football updates.